Use Cloud based SDKs to easily add OMR features in your applications. Aspose.OMRCloud for cURLOptical Mark Recognition, anywhere, any language and any platform. 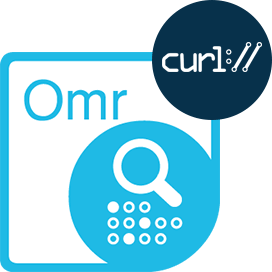 Send cURL commands to capture human-marked data from images of tests, exams, questionnaires, surveys with high accuracy. Aspose.OMRCloud SDK for .NETAdd the ability to effectively perform OMR on various image formats including JPEG, PNG, TIFF and many more using our .NET SDK. Aspose.OMR Cloud SDK for JavaUse Java language to perform OMR on documents such as surveys and tests using Aspose.OMR Cloud SDK on any platform, that is capable of calling REST APIs. Aspose.OMR Cloud SDK for PHPPlatform independence to capture human-marked data from multiple document forms using Aspose.OMR Cloud SDK for PHP. Aspose.OMR Cloud SDK for PythonPerform OMR to read questionnaires, multiple-choice examination paper, surveys, tests using Aspose.OMR Cloud SDK for Python. Aspose.OMR Cloud SDK for RubyPerform optical mark recognition in the cloud using SDK for Ruby that supports almost all commonly used image formats including JPEG, PNG, TIFF and many more. Aspose.OMR Cloud SDK for Node.jsAbility to manipulate human-handled data from a number of image formats in your applications using SDK for Node.js. Aspose.OMR Cloud SDK for PerlPerform OMR on documents like questionnaires, surveys etc. on any platform without any software download, using the SDK for Perl. Why Aspose.OMR Cloud Product Family ?